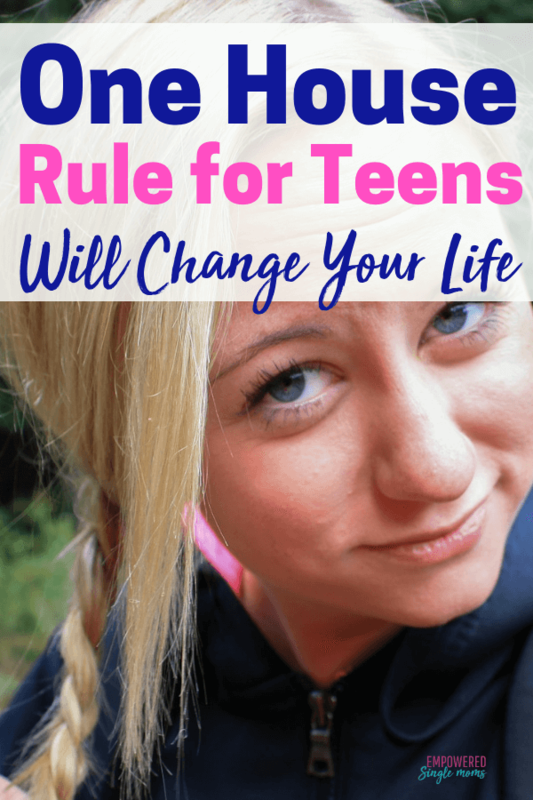 There are different philosophies on setting up house rules for teens or really family rules for kids of any age. I am all for simplicity. It took me awhile, but I finally figured out the best house rules. 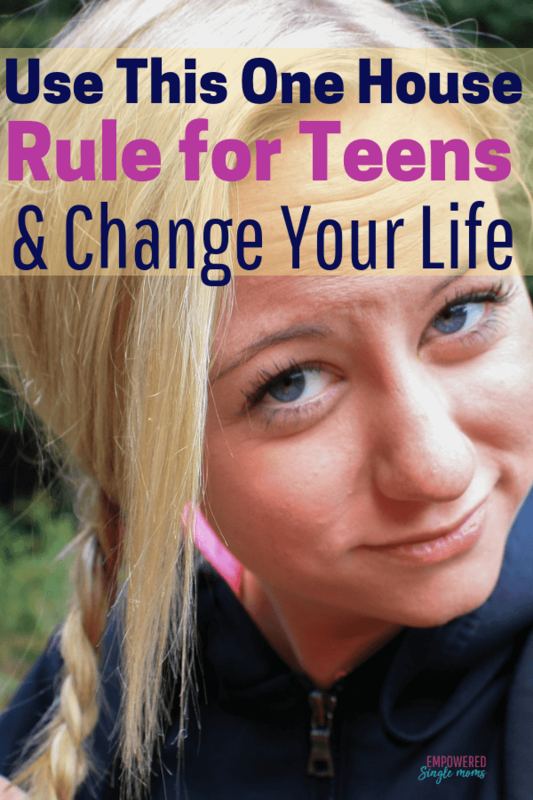 I figured out by the time my kids were teens I only needed two house rules for teenagers. The first one is definitely the most important. Running the household as a single parent was overwhelming. I was struggling to balance work, parenting and the mundane chores of laundry, cooking, cleaning and home repair. I needed more time and more energy. The frequent minor power struggles over household rules were exhausting. I had to think of something to make my life easier. One night it hit me. We only really needed one house rule, maybe two. I couldn’t believe I hadn’t thought of this before. It is important to have few family rules, but the ones you have need to be enforced consistently. I have seen so many problems happen in families and in kids’ lives when parents say one thing and do another, but those stories will need to wait for another day. 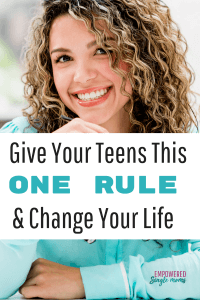 Let’s get to the most important of the house rules teenagers. The most important of the house rules for kids is “Respect the Mother.” We then had a discussion about what it means to respect the mother. This rule sounds simple and it is, but it covers a lot of behavior when you think about it. This family rule covers don’t cause worry, do your share, and make good decisions. It is my nature and the nature of most mothers to worry about our children. That means a mom needs to know where her kids are, what they are doing, who they are with, and at whose house they’re scheduled to sleep. Respecting the mother also means pitching in and helping. We were never in a position to have a household cook or cleaner. This is the case for most families raising children with one parent in the home (and most with two parents in the home). We talked about how, as family members, we do what needs to be done. Everyone pitches in to do the work. Mom is not another word for servant. The expectation was to do what needed to be done and get “bonus points”(a pat on the back and a word of appreciation) for noticing what needed to be done and doing it without being asked. If you need a more systematic approach this chore system works wonders or try these chore cards for kids to get your kids to help around the house. mother, who already has a lot of work to do. I stressed that I understand we all make mistakes, but asked my kids to please think about what would happen and to make the best decisions possible. It helps to mention that good decisions give us more time for fun and usually more freedom (something kids value more and more as they get older). reported that our house was different than his friends’ houses. “How is that?” I asked. “We have no rules,” he said. 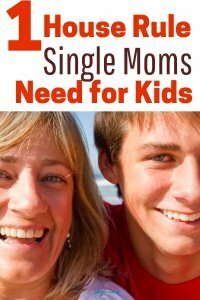 For more tips on raising sons as a single mom, you can find my advice here. Read about our second and last household rule in Parenting Rule #2. A private Facebook group just for single moms, Empowered Single Mom Tribe, join us for support and encouragement on your single mom journey. Do you need more than just one rule? Check out some of my favorite parenting books.